Hotel le Doron is a brilliantly located bed and breakfast hotel in the very centre of Meribel. The hotel has 14 rooms of approximately 2-star standard all with WC, bath or shower, and most with balcony access. 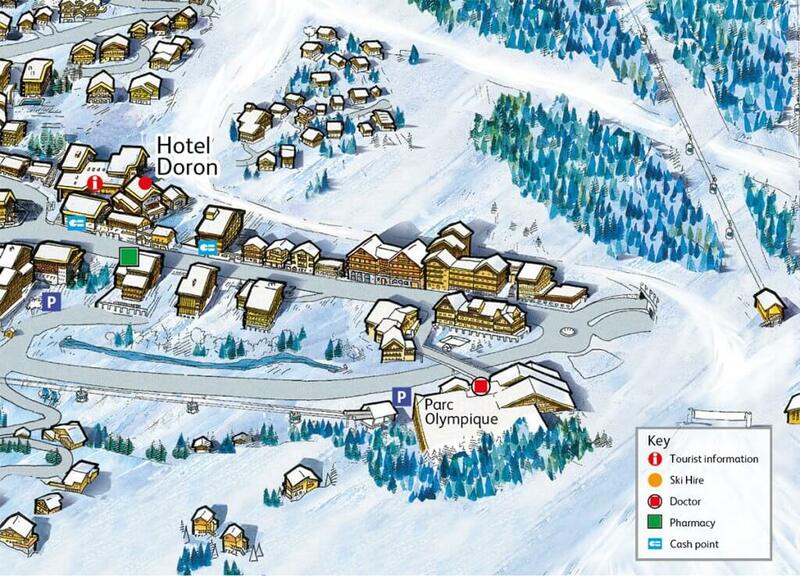 Please note the Hotel Doron rooms are situated above the Doron Pub. This is a lively Meribel bar and venue so there will be noise during Pub opening hours which can be quite late. You can also enjoy both lunch and evening time bar snacks and meals in Scott’s Bar and Restaurant at the entrance of the hotel.